Assortment 20 YARD 1/4" Grosgrain Variety Pack HUGE SAVINGS! 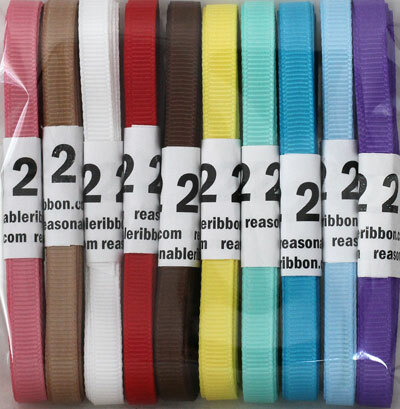 This assortment contains two yards each of ten different colors of 1/4" wide 100% grosgrain ribbon. Picture is a representative sample and actual colors will vary.